Don’t like the Windows 10 Microsoft Edge browser? You’re not alone. Only 20% of all Windows 10 users ran Edge as their main browser as of August 2017, down from 24% a year earlier, reports Computerworld’s Gregg Keizer. There are plenty of reasons to move to a different browser. Start off with extensions — or more precisely, the lack of them. Edge was finally given extension support in August 2016, but even now the number of extensions is embarrassingly low — only about 65 as I write this. (Head to Microsoft’s Extensions for Microsoft Edge page to see the current list.) Chrome and Firefox each have thousands of extensions and add-ons. 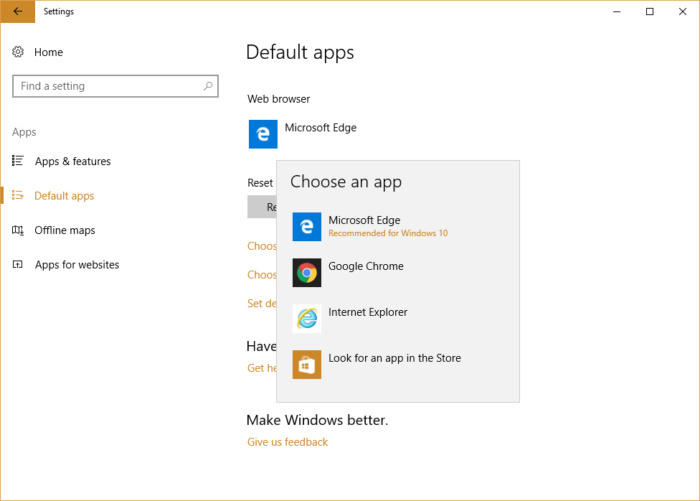 So if you want to improve your browser with add-ons and extensions, Edge isn’t the way to go. If you’re a fan of Gmail, Edge isn’t the browser for you, either. Edge won’t display Google Inbox, which is a far more efficient way to manage mail than the default Gmail interface. Edge also has a number of awkward or just plain weird behavioral quirks. Open a new tab, for example, and there’s no address bar on it. To visit or URL or do a search, you have to type them into the search box. But when you’re visiting a site, you use the address bar. Speaking of the address bar, it doesn’t show the protocol being used on a web site, such as http or https. True, it shows a lock icon for https sites, but it’s nice to be able to see the entire address including the protocol, rather than having to look for a lock icon. Finally, you might not want to use Edge for aesthetic reasons. Not everyone is a fan of its stripped-down look or the way it handles bookmarks and your history list — they’re difficult to find, hidden under hard-to-decipher icons in out-of-the-way places. And even when you get to them, it’s not at all clear how to perform common tasks, such as adding folders or reorganizing Favorites. 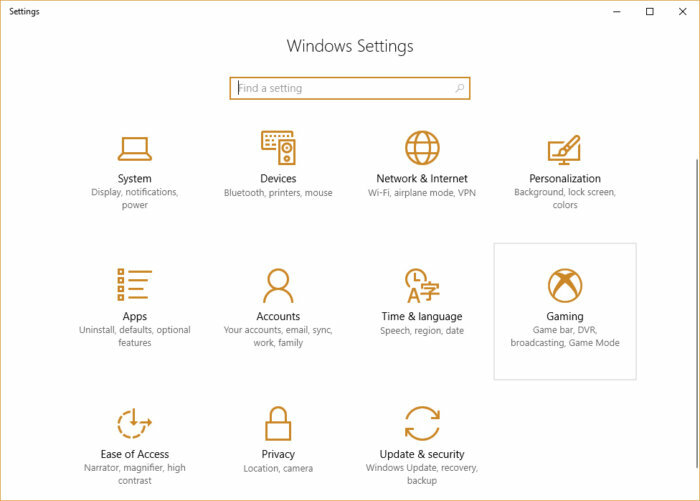 In the Settings app screen, you’ll take one of two actions depending on what version of Windows 10 you’re using. 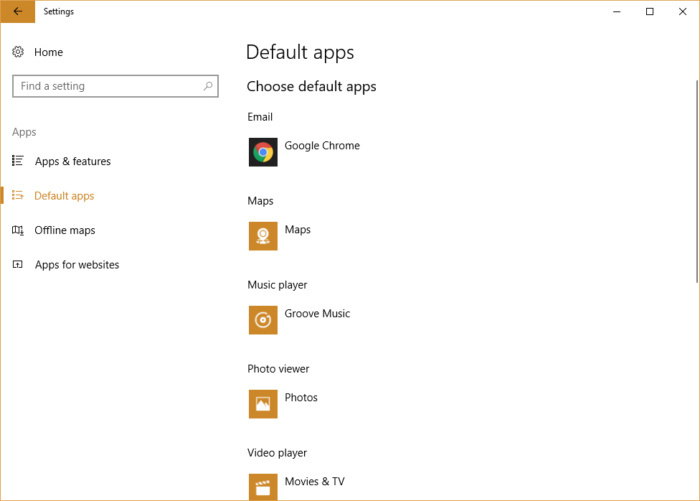 If you’ve upgraded to the Windows 10 Creators Update, which was released in April 2017, select Apps > Default apps. 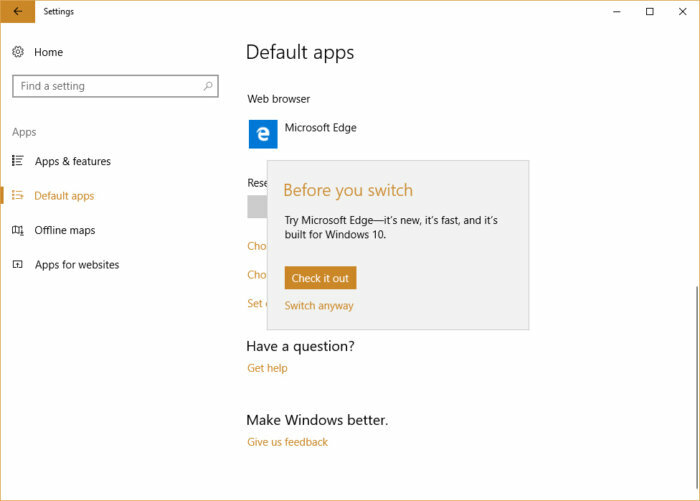 If you haven’t yet upgraded to the Windows 10 Creators Update, you won’t see an Apps icon on the Settings screen. 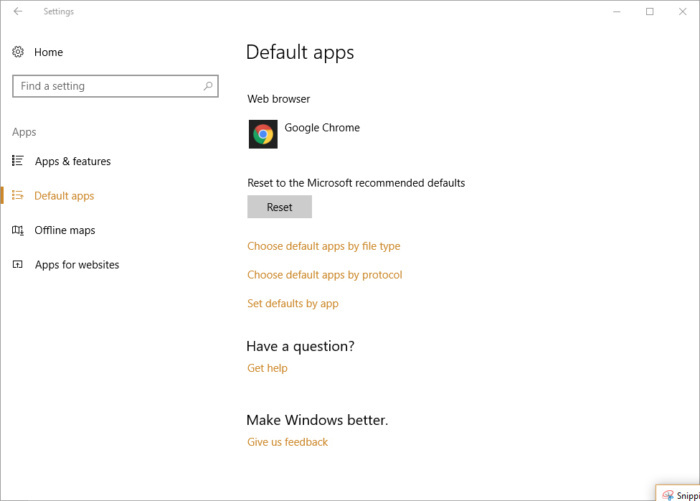 Instead, select Settings > System > Default apps. On the Default apps screen, you’ll see the default apps for email, maps, playing music, viewing photos and videos, and more. To change the default browser, you’ll have to scroll down to the bottom of your screen. When you get to the bottom of the screen, you’ll see Microsoft Edge under the “Web browser” listing. Click the Microsoft Edge icon and you’ll see a pop-up with a list of your installed browsers.